ANNAPOLIS, MD – Maryland farmers planted a record-setting nearly 560,000 acres of cover crops on their fields last fall as part of the Maryland Department of Agriculture’s 2016-2017 Cover Crop Program, breaking the previous record of 501,204 acres planted last year. Cover crops are widely recognized as one of the most cost-effective and environmentally sustainable ways for farmers to meet nutrient and sediment reduction targets outlined in Maryland’s Watershed Implementation Plan to protect and restore the Chesapeake Bay by 2025. In 2010, the U.S. Environmental Protection Agency established nutrient and sediment limits for the Chesapeake Bay known as the Total Maximum Daily Load (TMDL). Maryland and the other Bay jurisdictions are working to meet these pollution thresholds by implementing their Watershed Implementation Plans. Governor Larry Hogan included an additional $2.5 million in his supplemental budget to pay for the record cover crops acres planted by farmers this year. Cover crops are one of the most cost effective practices to help the State reach its Chesapeake Bay clean up goals. During budget deliberations, the legislature cut the funding for this important program. The Maryland Department of Agriculture’s Cover Crop Program provides grants to farmers who plant small grains such as wheat, rye or barley, or brassicas (plants in the cabbage family) on their fields following the fall harvest. Grants help offset seed, labor and equipment costs associated with planting cover crops. In 2015, cover crop mixes containing legumes were introduced to help create diversity and give farmers more planting options. As they grow, cover crops protect water quality by recycling unused plant nutrients remaining in the soil from the preceding summer crop. Once established, cold-hardy cover crops work all winter to shield fields against erosion caused by wind, rain, snow and ice. 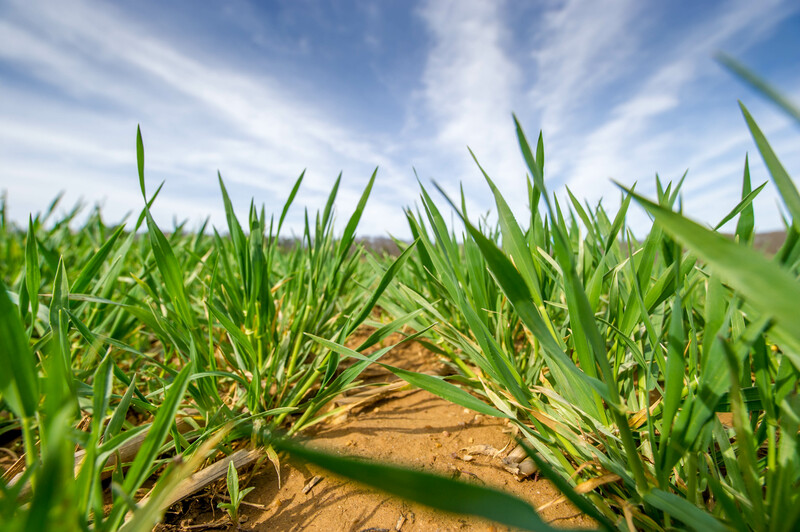 Collectively, the nearly 560,000 acres of cover crops planted will prevent an estimated 3.36 million pounds of nitrogen, and 112,000 pounds of phosphorus from reaching Maryland waterways. Maryland’s Cover Crop Program is administered by the Maryland Department of Agriculture and the state’s 24 soil conservation districts through the Maryland Agricultural Water Quality Cost-Share (MACS) Program. It is funded by the Chesapeake Bay 2010 Trust Fund and the Chesapeake Bay Restoration Fund. Applicants must be in good standing with the cost-share program to participate and in compliance with Maryland’s nutrient management regulations. The sign up period for the 2017-2018 Cover Crop Program will take place from June 21-July 17, 2017. Farmers should check the department’s website for updates at mda.maryland.gov. Click for a short video featuring a farmer’s point of view on cover crop benefits.